Do you need a last minute appetizer recipe for Christmas that is both delicious and easy? Try these!! Bake at 400 degrees for 18-20 minutes.Makes about 20 mini tarts. I made the best by far Pineapple and Coconut fruit cake today too! Go here for the recipe. It tastes amazing! Kind of like a Pina Colada in a fruit cake! I also whipped up my mixture of Christmas Peach tea! I wish you could all stop by for a sip and some treats!!! My most treasured keepsake is a statue of Mary's apparition at Lourdes that my parents gave me when I was 8 years old for my Confirmation. It has always been with me where ever I go.Even though I'm a bit of a fallen away Catholic, I believe that, even in my darkest hour, Mary is always with me. Here is a great project using paper lunch bags once again and SNS ribbon! Go to the SNS blog for instructions! This week's prompt is your parents. We all have different relationships with our parents but they play the most imrtant role in who we are today. I was blessed to have parents who were the perfect example of 'love'. They married young and raised seven children and both went on to have amazing careers. My mom is still a practicing psychologist. Although I'm sure that things weren't always perfect - in the presence of their children they always presented a united front. 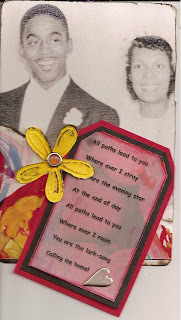 I know that my mom misses my dad with all of her heart and soul. For this week please create a card that shows"what's on your mind?" The weather is definitely on my mind this week! Cold weather is normally expected or this time of year,but the brutally severe temperatures(-20C) and large amount of snow we've received so early in this winter season concerns me as to what kind of winter we are in store for...brrrr!!! Have fun and I can't wait to see what's on your mind so remember to post here!!!! I made this holiday planner to help organize me for the upcoming holidays. I used BG Figgy Pudding paper and stickers throughout and a blank transparency for the cover. I trimmed all the pages with the lace trim from the November ZZ Tis The Season Ribbon Kit from SavvynSassy. I believe that everything happens for a reason...even the hardships in life...and that we are all a part of a bigger picture. and like film, it takes time and patience for the image( or reason) to manifest itself. For this week the challenge is your initial... the letter that stands for you, for your name. 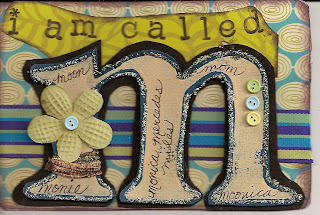 On the front of the card it says: I am called Monica Mercedes Miles, Moon, Monie. Mom. Moonica and Mumica. Have a great week and please post your cards!! !I love to see how creative you all are! First let me say that the RAK goes to Mickee and Adriann for getting all of their cards up to date.Way to go!Watch the mail for a little something! 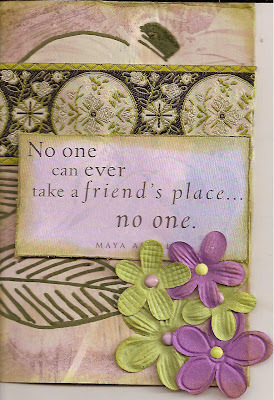 For this week create a card showing what is something that has inspired you. I am inspired by so many things. I couldn't pick just one. I am inspired by the love, courage and creativity of my family and friends, my memories and my home and so blessed to have all of this inspiration always within reach! It's coming!! And we are SO excited!! The SNS team has put their heads together and come up with an amazing week long crop, full of great challenges and cool projects. In fact, we are so excited about it, we decided to kick things off by introducing you to a new tag, one each day, for the 12 days leading up to the crop! Just think, before the crop even starts you will have 12, (if not more), Christmas tags in your stash - how cool is that! You can check out all the fun HERE , and don't forget to add your creations to the gallery.. we love to see your work! The winner of the Rusty Pickle Christmas 'Snowflakes and Mittens' paper is angel wilde!!! Congratulations! Please email me your mailing address at: bcdoula@gmail.com so that I can mail you your prize. Thanks for entering everyone! 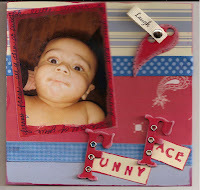 There is more to come so stay tuned to Monica's Scrapbooking Place! 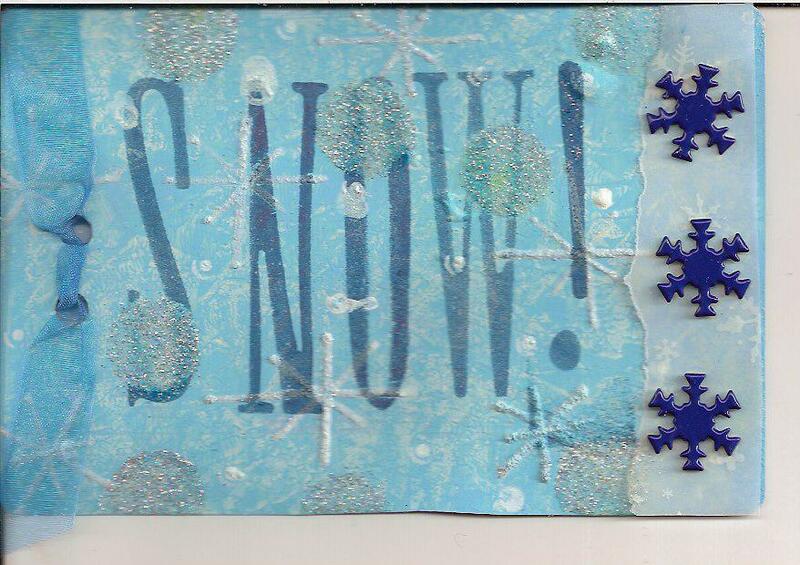 For this week the challenge is to create a card that reflects who (or what ) do you miss in your life right now. For me, I miss my friendships and my social life. 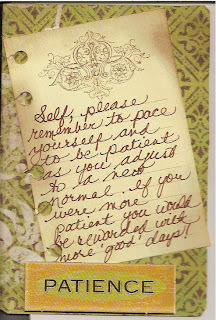 Living a "new normal" life with chronic pain has meant many adjustments. I'm not able to be as 'present' as I need to be to nurture my relationships so some of my friends have moved on. That coupled with 3 dear friends who have recently moved to new countries has left me feeling lonely more often. Despite that, I still feel blessed for my friendships, both here and gone. Godspeed my friends! Everyone has a shoe story!! This week share yours!! !...be sure to show this story on your card!!!! expensive shoes were sliding off of my feet! Snowflakes and Mittens- Free give away! I had the wonderful opportunity to attend the Canadian Crop for Kids at West Edmonton Mall with my daughter last weekend and we took some amazing classes. Lance Anderson of Rusty Pickle was kind enough to give me some samples of their new Christmas paper line called 'Snowflakes and Mittens' and I am passing that gift on to one lucky viewer so please watch episode 9 below and leave your comments here for a chance to win! Deadline is Friday October 26, 2007. For this week the challenge is peace(what does it mean to you) . For me, I am at peace when I don't have a care or worry in the world and all is right and uncluttered in my world. To quote India Arie." I wanna go to a place where I am nothing and everything, that exists between here and nowhere. I wanna go to a place where time has no consequences, the sky opens to my prayer. 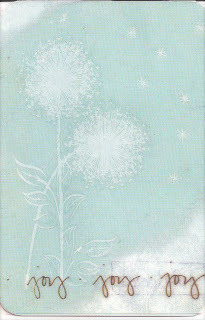 I wanna go to beautiful, beautiful beautiful..."For my card I used a white rub on dandelion and then placed a transparency over top that had the words joy on the bottom. I 'glued' it to the card with white paint. Here's wishing you all a beautiful, peace filled week! For me, there were so many choices but I chose my home. My home is my nest, my safe haven, a true manifestation of my soul. I am so thankful I have a place to go where I can truly be myself. It's a place where I can laugh, cry, regret and rejoice. A place where I can truly count my blessings and be thankful for the shelter it provides me. Happy Thanksgiving to all of my Canadian friends! Have a beautiful week everyone! ....and the winner of the Cosmo Cricket kit is...!!!!! Please email me your address at bcdoula@gmail.com so I can get these goodies in the mail to you. For this week I would like you to use something from your week right onto your card. If you went to a concert, maybe the ticket stub or a piece of the playbill. Perhaps you ride the bus, you could use part of your bus token. Did you do some shopping? Maybe use the receipt. You get the idea.Today I facilitated Mother Blessing ceremony for a repeat doula client so I chose to put the bracelet that the mother ties on the wrists of all of the guests who were invited to 'bless her way' into motherhood. The premise is that every time your attention is drawn to the bracelet during your everyday activities, you are to send positive thoughts to the mother to be for a safe, happy, healthy delivery. Once the baby is born and the cord is cut the you are to 'cut the cord' from your wrist signifying that all is well for that mom and baby. Can't wait to see what kind of week you all have! Have fun! Enter to Win a free Cosmo Cricket Kit! 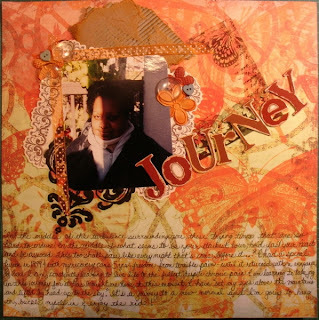 On episode 8 of Monica's Place we had a look inside Kelly's wonderful mobile scrapbook store called Memories in Motion.I then created a chipboard kit by Cosmo Cricket. Kelly donated an extra one to give away and the ribbon twill was donated by SavvynSassy Please add a comment about the show for your name to be entered in the draw! Good luck! Although I've used Emily Falconbridge for inspiration, this week I changed up the topic a bit. The challenge this time is " What color are you?" I want you to create your card in your favorite color or the one that best describes who you are! My color is green.Green in the center of the rainbow. I am attracted to green - especially new leaf green as it is the symbol of new beginnings and represents harmony and balance. I would also like to welcome my mother to this challenge. She has always been my inspiration and I can't wait to see what she creates. Please go to Mavis'Place to check out her take on this challenge and leave her some lovin'! Look at the email I got today!! Congratulations, your layout has been selected to appear in our on-line gallery at BasicGrey! We appreciate your time and talent and thank you for using BasicGrey papers and embellishments. The prompt for this week is 'i am'. Make an 'i am' statement for yourself - whatever it may be! Here is my take on this week's challenge. "I am still learning." I've realized the older I get, the more I still have to learn. It's an interesting,fun and satisfying adventure seeking out new truths! 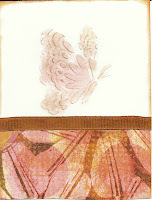 Even in the creation of this card I "learned" that rub ons DO NOT adhere to wet ink!!! Have fun creating and have a beautiful week!!! In this episode I alter a bandaid tin to create a mini card set. 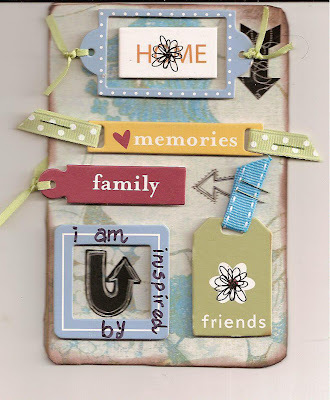 Watch to the end for a chance to win a Cosmo Cricket chipboard album kit in an upcoming episode! Adriann tagged me and here are the rules: I must post the rules, then list 7 random things about me and then tag 7 others to do the same by leaving them a comment. 1. My middle name is Mercedes. 2. I am very audio sensitive, Can't stand crunching or scraping sounds. 3. I play the piano and the clarinet. 4. I've had blood transfusions and donor bone (on separate occasions). 6. I wring my hands when I'm stressed. 7. I love to be on stage! The prompt for this week is "what is powerful to you". For me, the most powerful thing is witnessing the magical moment when a woman transforms into a mother just after giving birth. It happens in a split second and I believe that the universe shifts just a little.That is one reason why I find it so rewarding to be a doula. 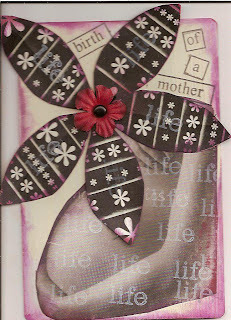 I used a magazine image of a pregnant woman. 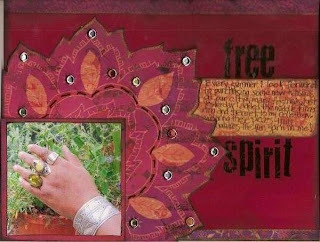 I stamped the image and flower with the word 'Life" and I inked the card in red to represent the "Red Tent" where women used to gather in ancient times to share their wisdom and knowledge. I encourage you to post your creations in the comments section so that we can all be inspired by each others work. Have fun!!!! Here is my take on ths week's challenge. 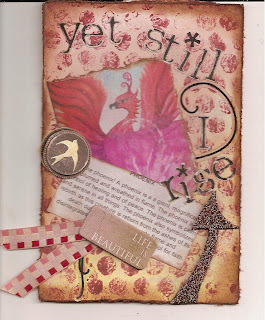 It's called "yet still i rise" as I'm proud that I try to live a full life despite chronic pain. This was so-o-o much fun! I can't believe that I have to wait a whole week for the next one! I just made the draw for the altered soap box featured on Monica's Scrapbooking Place and I'm pleased to announce that the winner is, drum roll please....... Cheryl(cakvd)! Congratulations and please email me your mailing address at bcdoula@gmail.com so that I can get this is the mail to you. I would also like to take this opportunity to thank all of you who tune in on a regular basis. Please stay tuned as I have lots more giveaways coming up in the near future! I like to congratulate Adriann!! 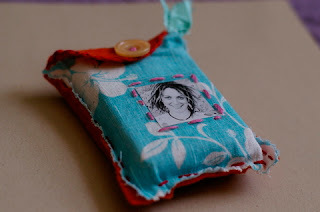 You have won this pouch for your art journal cards! I made this with a piece of fabric from my great aunt who lived to be 101. She was a very wise and wonderful woman and I thought that it was fitting to use this to create the pouch to store your cards in! Thanks for playing along even though you've already started!! Here is my take on the word 'Balance'. I used red electrical tape and stitching as my frames.This picture was taken a couple of years ago where I was literally dancing in the wind. We stopped just off the highway returning from a day trip in the Rocky Mountains and it was so windy. I just felt compelled to dance in the wind!! My journaling reads: I have surrendered to live a more centered life. I soothe my soul on a regular basis by meditating, journaling and by taking long re-energizing baths. What I have come to realize is that it is also very necessary to honor my silly, spontaneous self because I am the most joy filled when I'm just a little off balance! 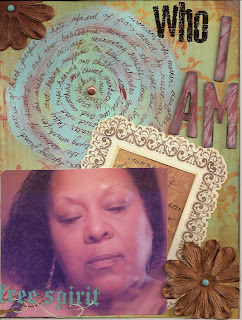 I used acrylic paints to paint my circle for journaling and on my chipboard " I AM' letters. who I Am..woman, wife, mother, daughter, sister, nana, soul soother, life long friend, witness of birth, fearful of hate, afraid of fear, moved by music and song, loves baths, the aroma of sweet peas and new babies,is awed at the sight and sound of geese fiying south for the winter,is always reinventing myself, loves being 55,saltwater taffy and baking muffins on lazy Saturday mornings,sacred road trips, hearing my children say 'love you' and smooching my sweet grandson, is still seeking new truths. Please go and see the movie Resurrecting the Champ as my youngest son, Jesse, has a small part as a prize fighter in the movie. Go here to check it out!! That's him in the photo with Josh Hartnett! It is the first of a 3 part webisode and in the first episode I alter a soap box into a recipe card holder. Please leave your name and a comment here and I will make a random draw for this altered soap box!!! Draw ends August 31, 2007. Good luck! I can't believe that there are only 2 more weeks of this challenge left!! This challenge we had to use 2 'clear' products and the colors green, brown, orange, white and yellow. The is a pic of me in my bath tub is matted with brown card stock. 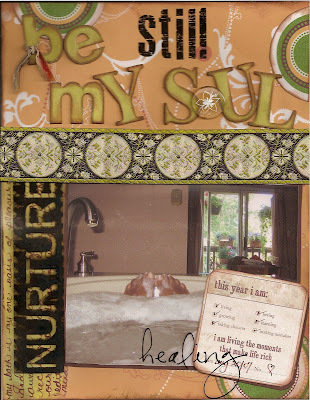 I used a clear button in the word 'soul' and added a white rub on on it and I printed the words 'nurture' and 'healing' on a transparency.The wide ribbon scanned a little crooked.. I used all of the required colors. 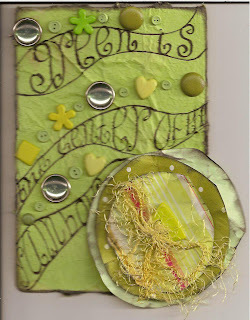 I mixed yellow and green acrylic paints to make a journaling block under the word 'nurture'. "my bath is my one oasis of pleasure and solitude that is just footsteps away. it is a time of tranquil recharging from our chaotic, demanding world.it's my 'editing' room where i can clear and free my mind." 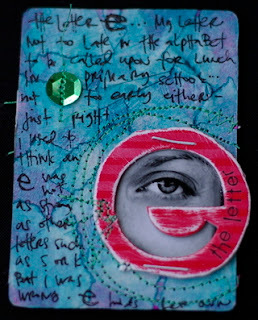 I was directed to this mini art journal challenge by Emily Falconbridge and I LOVE it!! Please go to this link first and scroll to the bottom to get to the beginning. Supplies needed for this project are a deck of cards, a pouch you create to keep them in(unless you win:) and your wonderful imagination!! I realize that it started in January but I think you can start anytime during the year. I thought that September would be a good month to begin because it is the month of transition and change. While I know that this can be a very busy time for mommies with school age children, this is such an easy challenge and it's something that you can do for yourself. 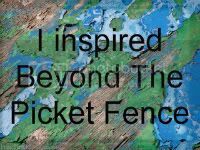 I'm asking you to please join me on this creative inspirational journey. I will make a random draw from the names of those joining me on this creative adventure and they will win a pouch that I create!! This week we were challenged to pick from certain words for our title and to use buttons and chipboard in out layout. I used clear and heart buttons and chipboard letters in my title. I have had this picture for a couple of years and didn't know what to do with it. It is 4 days after spinal surgery and there is a definite shadow cast in the middle of it , so it's not the greatest quality,but it tells a story and I was so glad that I could finally scrap this. "In the middle of the turbulence surrounding you, these trying times that are so hard to endure, in the middle of what seems to be your darkest hour hold fast your heart and be assured. This too shall pass, like every night that come before it..." I had a spinal fusion in 1999 and with my recovery came 5 years freedom from terrible pain-until it returned with a vengence..so, here I am constantly learning to live life to the fullest despite chronic pain. I am learning to take joy in this journey for it has brought me here, to this moment. I have "set my eyes above the mountains and lifted my head up to the sky." It's a journey to a new normal and I'm going to hang on, buckle myself in and enjoy the ride! Week Four challenged us to use bling in a summer theme. 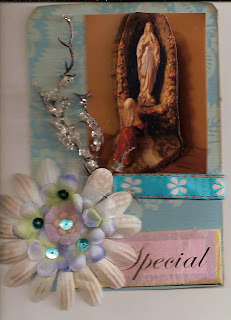 I used my blingy brads for this layout and I also did some black stitching around the flower. The journaling reads:Every summer I look forward to purchasing some new treasures at our city's many festivals.Just yesterday, I added the middle finger ring and bracelet to my collection.Wearing these pieces truly nurtures the free spirit in me! Precious - Week Three For this week the challenge was "3 times the charm". 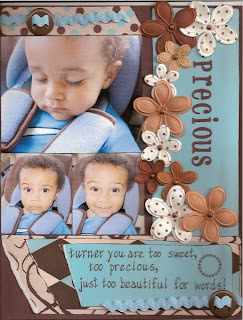 We were challenged to use 3 photos, 3 patterned papers, 3 circles, 3 other embellishments as much as you want, and at least 3 lines of journaling!I took these pics of my grandson the other day and he managed a little smile just before he fell asleep in his car seat.My 3 circles are: 2 brown brad circles and dotted circle in journaling. 3 embelishments are: flowers, little brads and ric rac, 3 pics, 3 pp's 3 lines of journaling are: Turner, you are too sweet, too precious, just too beautiful for words! Metamorphosis - Week Two of the challenge asked us to us a pic 5 x7 or larger and a one word title only. I took this picture of my daughter when she was in her second trimester as we were rushing out to go shopping. She said she wanted a pregnancy pic . I was so amazed at how good this turned out that I now use it in my logo for my doula business! Daughter, Beautiful, Gentle, transitioning,changing, transforming, into a beautiful Mother. 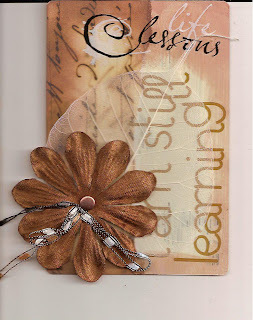 I have been doing a challenge at Scrap Love and so I thought I would post some of my entries on my blog! Week one we were asked to use 3 office supplies.The office supplies I used are: date stamp(upper right corner), manila envelope, and staples (embelished with beads). My journaling reads: "Of all of my adventures on my life's journey, the trip I took with my sister to Seattle for Oprah's 'Live Your Best Life' conference, was truly special. After fate helped me secure two tickets, i decided to take my sister, who had just been recently widowed. We stayed in the most amazing B&B that was right across the street from a magical Budhist garden, took ferry boat rides, walked, talked, journaled, cried and spent an awesome day with Oprah at the conference. We were so excited to be featured (in this photo) on her website! !Everything unfolded to be so healing for my sister and a treasured memory I will cherish forever. 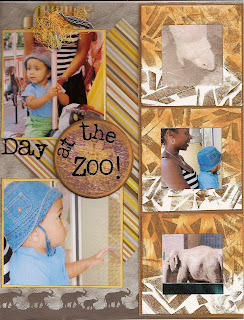 I had a wonderful time at the zoo with my grandson and his mommy while his daddy was out of town. We saw all of the animals but the one that Turner loved the most was the black tailed groundhog! !Pretty funny! 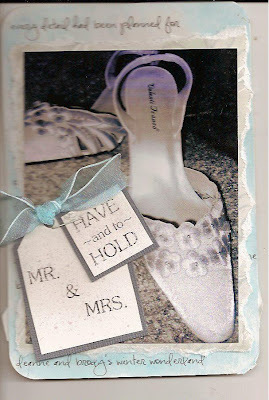 I did this layout for a challenge on the Savvy N Sassy website to capture our day. 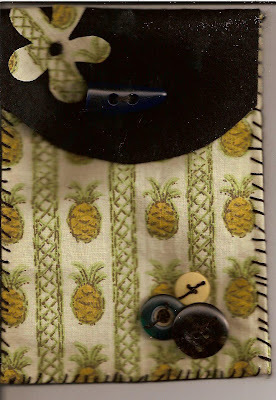 There is hidden journaling behind the fiber tab.I saw the idea to make the animal print frames on another site but I didn't have a rubber stamp so I made mine from the scraps that you throw away after mounting your rubber stamps. I adhered them to the back of a cd cover and presto! !...an animal print stamp is created..for free! Look at little Mr. Man eating his first popsicle all by himself! He is so precious and such a joy in our lives! Being a grandparent is one of the most amazing life experiences....I can't describe the feeling. It's a new kind of love that you never knew you had and I am so blessed that I have the opportunity to experience it!!! We are off to the zoo today with his mama! Here is the latest layout I did for the alphabet scrapbook I am making for my grandson. I'm making the layouts in no particular order! I created this lo as a part of the red, white and blue challenge at SNS. This lo for the letter 'F'. 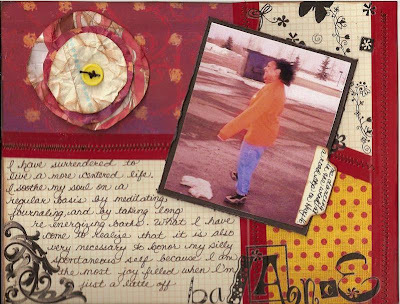 I used red acrylic paint to create a frame and to make a photo mat for journaling. "Oh little Turner, how you keep us smiling with all of your funny faces...all of them so sweet!" I thought that once it's finished it would be a fun book to read to him all about him!!! I am trying, once again for a DT placement on Savvynsassy so I thought I would update my bog. One thing that I find though is that not too many people visit here very often so I will try to generate some more traffic! Thank you to those who drop by and leave their comments! It is very much appreciated! I asked my dh if he could design me a logo for my webcast and in a matter of hours it was done and I love it!! !...although the color isn't exactly the true green of the logo on paper. Style Stone Pendant - Jewellery or Scrapbook?? 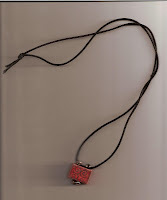 I love this pendant I made tonight using rubber stamps, ink, embosing powder and style stones. At first it looks like an ordinary necklace but when you open it up it's a mini scrapbook! The pics are those index ones that are 1 x 3/4 inches!! TFL! 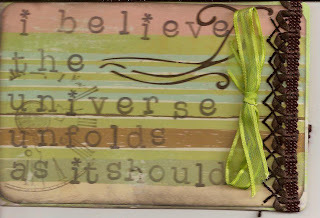 I was so excited to have one of my layout be chosen last week as "Layout of the Week" at Scrap Love!! I did a photo shoot with my daughter and her baby on Saturday.It was such a nice day and the lighting was just perfect but every time I would try to get a good shot my camera battery would need replacement. Finally I took my dh's camera and I think I got some pretty good shots! Hi everyone! I am so excited that I've created a new scrap booking podcast where I share some of my ideas and techniques. Please check out my first episode where I demonstrate how to make this butterfly card using dry embossing and chalking techniques. I am aware that I need better lighting and more close ups so I will try to improve the quality of the program as I go. Until then, I am taking joy in the journey!!! Please click here to check it out and I will continue to add new links as I create more episodes! I sent in some submissions to be part of the design team for Sassy and Savvy (http://www.sassynsavvy.com) and am I very pleased to announce that I was selected as one of their Ribbon Guest Designers! My month is November so I have lots of time to create my projects. I am so looking forward to this opportunity!